Tag Archives: Is Nathan Fillian the author Richard Castle? 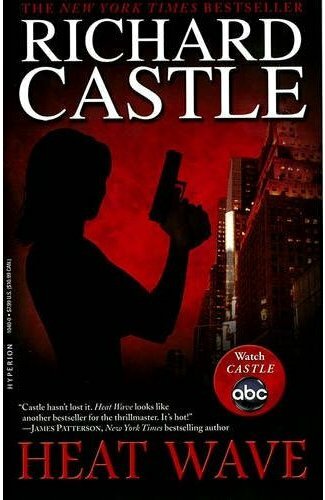 I’m a fan of the TV show Castle so when I saw a box set of 3 of the Nikki Heat books from the show I had to see what it was all about. I’m sure I read somewhere that the books were written by Nathan Fillian who plays Richard Castle in the show but it seems there is a lot of speculation over the author. I like to think he wrote the books anyway. I think it was an interesting move by the shows makers to bring out the books that are referred to throughout the shows. It’s obviously a money spinner but it also adds another element to it. I enjoyed the book. As I was reading it I was seeing the actors in the show playing the characters they are based on and that is kind of the point. It was a quick read but sometimes you want something quite short to fill time. I think you would still be able to enjoy the book if you have never seen the show as it isn’t really about that. What you need to know is all covered. If you are used to reading die-hard crime fiction then this is probably not going to appeal to you but if you prefer your crime a little more light-hearted then go for it! I have another 2 books in the series to read so I’ll look forward to seeing if they’re just as good as this one! I think they have finished making Castle now which means another one of my favourite shows has bitten the dust but at least the reruns are on most of the time!